As Mars Joins the sign Aries on the 5th Feb. 2019 the Ascendant of the Natural Zodiac and in its Mool Trikona sign which is the 12th house of the India Foundation chart the Scenario in the Politics worsens. Mudslinging is the order of the day by the Oppositions. The Kind of Politics never seen before for the reason Mars is planet of war and strife. Mars as the 12th and the 7th Lord the oppositions will not leave any stone unturned to damage the image of the Ruling Party since they fear they may not come in power.The Corruption is back as poll pomposity, the voter may care or not ? but Mars and Saturn care . This is the main parameter which will drive the elections in the present Scenario for the simple reason that Mars will be in Taurus and Saturn in the sign Sagitarius when the Elections take place and the Results of the same are declared it to seems before 7th May 2019. The Ascendant is Virgo nd Mercury Lagna Lord and the 10th Lord with Venus Forming a Rajyoga of the 9th Dharmadipati and the 10 th Lord Karmadhipati placed in the 4th house of Throne. The Lagna is the Country and the 10th house is the Prime minister of the Country rulling at the time of the Dasha in operation. The opposition is seen by the 7th house and the 7th Lord who is in most afflicted condition in the 2nd house of speech and Monetary affairs and scams. We can see for ourselves what type of Speeches ” Chokidar Chor he” “So and So is Gunda” Height of Frustration is seen in the opposition Parties more so since the 8th Lord Mars aspects the 7th Lord Jupiter in the 2nd house with Rahu and Ketu.The Chart opens all the secrets of the Political scenario and the future of the India in the general Elections of the Lok Sabha 2019. For Jupiter affliction for Dual Sign Jupiter attains the Significations of a first class marak since 1. Bhadak 2.Marak as the 7th Lord Placed in the 2nd house . 3. Jupiter has Kendraadipatidosh and afflicted badly, hence will work as a first class marak. 2nd House is also the Financial condition of the Country , hence critical time till Nov. 2019 for the same and the Scams sprouting regarding monetary deals. Coming back to the natal chart and the Transit in the present scenario is the Lagna Lord Venus and the 10th Lord both in the 8th house Sagitarius of the Foundation chart and Saturn aspecting the 10th house by strong 3rd eye of Lord shiva, Venus is also the Exhaltation Lord of Saturn and both in the 8th house and we can see the political scenario in the Country. Saturn is exceptional in the 8th house as karka for Longevity and having digbal since near the 7th house and aspects its own house and gives strength to the 10th house the House of the Prime Minister of the Country Ruling. This also shows what the Prime Minister is going though and mudslings by the opposition and Mars Transit as the 12th and the 7th Lord in the 12th house and will join the Ascendant of the Foundation chart on the 22nd March 2019 and we can imagine what could be the results after that since then Mars and Saturn will form most inauspicious yoga. Mars aspect on the Saturn in the 8th house as the 12th and the 7th Lord is clear of Espionage by the foreign elements and a difficult period for the Nation and the Primeminister of the Country , Full Security measures must be ensured .The Ascendant is the General condition of the Country since the 8th and the 11th Lord Jupiter will be in the 7th house of the chart and even now being aspected by Mars from the 12th house . Mars aspects the 8th and the 11th Lord Jupiter of the India Foundation chart Placed in the 7th house of the Sign Scorpio.This is crystal clear of what is happening in the Country at the moment. This will continue till Mars joins the sign Taurus on the 22nd March 2019 till 7th May 2019. Dasha Lord Moon placed in the 3rd house in Cancer where in Transit Rahu is placed in absolutely square position from Mars and having degree aspect of Mars from the 12th house and China shows his eyes again. 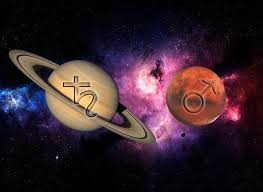 Rahu over Moon and Saturn and Mars aspect on Saturn the 8th house compelling the Saturn to take Drastic measures and open all the Scams concerning the opposition parties . Soon Saturn will reach the 24-26 degree mark in Poorva shada nakshatra in the Sign Sagitarius after Ketu also joins Saturn on the 23rd March 2019 and then Jupiter the 8th Lord joining the 8th house in transit as the 8th Lord will aggravate the situations to unexpected and ugliest level when Saturn and Ketu will be degree conjunct and in the same navamsha on the 23rd April 2019 when Jupiter after becoming Retrograde on the 10th April will fall in Scorpio again as a Fallen Planet , In Gandantha and also in Retrogression and having aspect of Mars a this point Mars will be 21 degrees and on the 30th April 2019 there will be Degree conjunction of Saturn-Ketu at 26.24 degrees having 8th aspect of Mars at 25.25 degrees most malefic pont since on the 30th April 2019 Saturn will also attain a status of a Retrograde planet and will be in stationary motion from the 25th April 2019. This Time frame from the 10th April 2019 to 30thApril 2019 will be a turning point in the Political scenario, Financial Break not only in India but also the Globe specially those countries who have Taurus Lagna and Taurus in the 10th house of the Chart and hence US. Another Parameter which cannot be ignored is the entry of Mars in the Rohini Nakshatra from the 8th April to 26th April 2019.I have already Discussed the Happenings earlier when Rohini Nakshatra was afflicted. I fear this Transit after 5th Feb. 2019 to 7th May is a dreaded one for similar happenings as mentioned above , more so the Elections are also on the cards and Probable Date 10th April and results may be declared on the 7th May 2019. The Primeminister in the Foundation chart is represented by Saturn since he is in Power and when Saturn Croses the 23.20 mark on the 25-26th Feb. 2019 could bring a total change in the Political scenario of the Country and Narendra Modi may be forced to take some aggressive steps against the culprits who want to duisturb the peace of the nation. Saturn at this point as per the past has been seen to damage the Dynastic Politics of Congress .The affliction to Saturn by Ketu and Mars will force the 9th and the 10th Lord Saturn of the Country who is also the Yoga Karka to take unprecedented actions. I dont want to write any more the Time will tell and the Culprits will be brought to Book by the disciplinarian, He is in the 8th house called the Kala Pani. Hence Mars and Saturn will change the scenario as per the time frame stated above, irrespective of the Voter may care or not for the Corruption Back As Poll Pomposity.